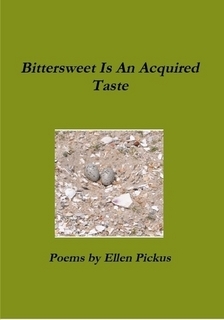 Ellen Pickus's new collection of poems, Bittersweet Is an Acquired Taste, is being sold to raise money to fight Alzheimer's, a disease which affected her mother. If you would like a copy of her book, send a check for $15.00 payable to Alzheimer's Disease Research to Ellen Pickus, 848 Hayes Street, Baldwin, NY 11510. "This is a powerfully engrossing collection of poems, regarding what it means to be alive and to be cognizant of the end of that existence, the slow breakdown, the wearing out, and sudden loss of functionality in the human machine and the psychological detritus that accompanies it. Lambremont's poems are trenchant and profoundly compelling, certain to prompt introspection for anyone who reads them." Ria Meade's first book of poetry is an eye-opener, coming from an individual whose sight was taken from her at an early age. Ria sees the beauty of the world not with vision, but with love, a unique understanding and an openness that few of us will have experience with. "Ms. Meade's poetry of endurance breaks your heart but her celebration of life produces poems of the highest caliber"
~ Evelyn Kandel, author of "Between Stillness and Motion." "In "Someday a Sunrise" Ria Meade has John Milton' keen insight despite physical blindness. As her beloved guide dogs and cat help "bring the light in", she accepts with courage and dignity what may be life's great challenge for all of us." ~ Gayl Teller, Nassau County Poet Laureate, 2009-2011. Nick Hale's first collection of poetry, Broken Reflections, is a collection of poetry of the unexpected. Nick mixes humor and seriousness to break readers' expectations with a surprise on every page. The Customer Is Often Wrong is a comedy act veiled in the guise of a poetry collection. The poems tell the tale of the author's woes of working behind the counter--each poem based on a true story of customer stupidity and hilarity. A great, quick read for anyone who has ever had the misfortune to work behind the counter. Scrawny Girl is the first poetry collection published by Long Island poet Karen Jakubowski. "The poetry in this book moves you, you can't help but love and support the author. Her emotional battles throughout the book touch the strings of your heart. You can't help, but want more. Some excellent poems are Coney Island crazy, Sound of a wooden hanger, and A woman's intuition." 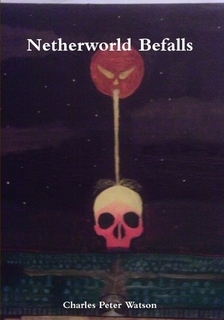 "The premiere poetry collection by up-and-coming poet Steven T. Licardi, DEATH BY ACTIVE MOVEMENT is an incredible journey into that most jarring of human experiences. Including the award winning poem “Early Girl,” the author uses the medium of poetry to explore the relationship between life and death, and how peace and beauty can be discovered in the divide between. At times sober and macabre, while at others comical and sweet, death as a concept is shown to be inseparable from that of life and can be used as a tool to better our own. Written is such a way that it feels like a story from beginning to end, with poems that will challenge the reader with novel ideas and imagery, the author’s work is sure to make you appreciate life in a completely different way." 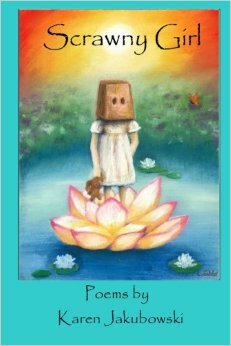 The first full length poetry collection from Vicki Iorio, hilarious, truthful, and to the point, Vicki is not afraid to say things how they are. The first poetry collection by Sharon Anderson--a wonderful poet who shows a master of form as well as wit, charm, and insight. Rays and Shadows is the story of a breast-cancer survivor--35 years later told in the form of unwritten letters to her children, reflections and an appreciation for life. Her story is moving, genuine and avoids the extreme sides of emotions while focusing on the reality---leaving the reader to walk away enlightened, with a deeper appreciation for life and hope for the future. A wonderful new collection of poetry by the award winning poet Evelyn Kandel. The poems in this collection show the poet's wide range and ability to see the beauty in every day life. ~James P. Wagner (Ishwa) President, Bards Initiative. Performance Poet, Author, Editor. 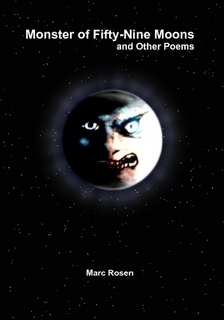 Marc Rosen brings an individualistic sense of style to his poetry. With a no-holds-barred approach, he draws his reader in for a fresh perspective on life, whether he’s ranting at the government or fighting for the rights of the disabled. Rosen digs beneath the labels we affix equally to people and objects to reveal the nature we often miss. He embraces subjects often shied away from, uses humor as an approach to autism and homosexuality, balances objective and subjective viewpoints with candor and a refreshing frankness. 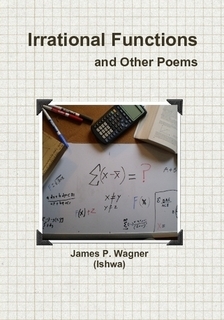 James P. Wagner’s new poetry collection Irrational Functions and Other Poems is an invigorating rush of air that fills the room with such poems as the title poem and Attention to Detail. There is never sappy sentimentality in his work, but a balance that causes a twisted smile of recognition to crawl onto our faces as his message sinks in. He is a poet and a performer and once you experience his work you too will be enthralled.